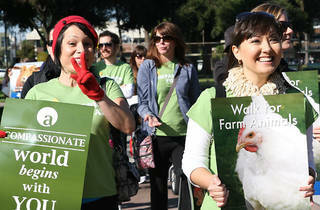 Farm Sanctuary is the largest farm-animal shelter in North America. The animals they care for come from factory farms, stockyards, natural disasters and abuse and neglect cases. 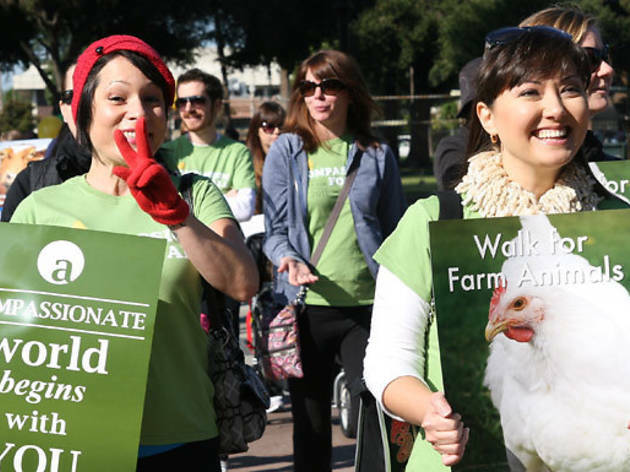 The money you raise whhile walking will go to help Farm Sanctuary rescue, feed, administer urgent care, and provide permanent homes for Babes, Mr. Eds, Chicken Littles, etc. In case you're worried about the tone of the event, don't be: it isn't a protest or rally, and you won't see any awful images or have to fend off hippie kids with clipboards. There will, however, be delicious vegan food, live music, raffle prizes, face painting and costume contests, as well as the opportunity to clock some miles with likeminded, big-hearted folks.